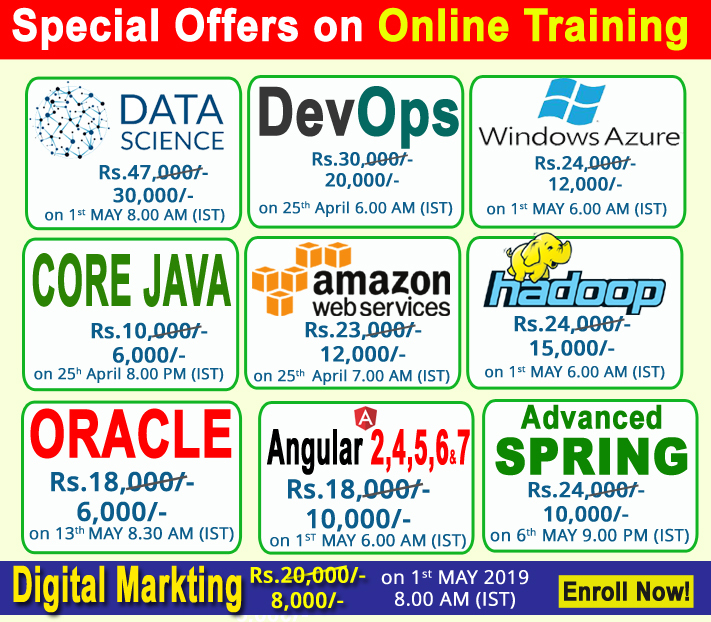 We are looking for Experience Trainers/Faculty for Java, .Net, Andriod, Cloud Computing, C, C++, Oracle, PhoneGap, AngularJS & Marketing Executive. Minimum 1+ Years of Experience Required. Finest Communication and Presentation skills. Previous or current classroom teaching experience (or equivalent). Online Trainer and Part Time position also Available. We offer Jobs for Quality Candidate with Attractive Salary.